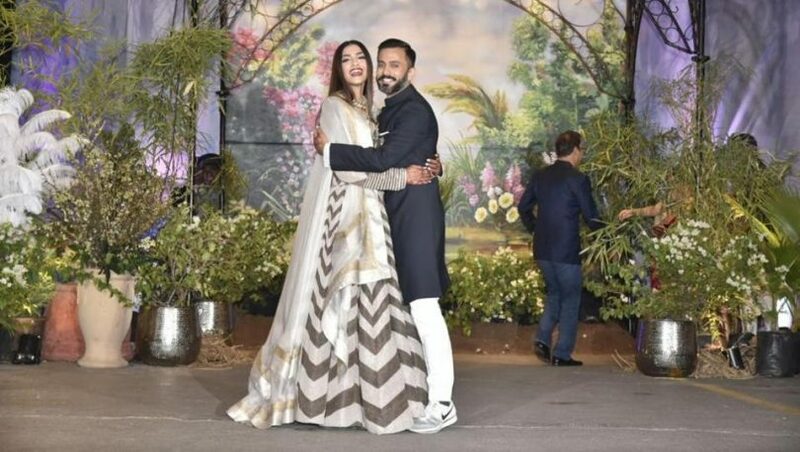 Sonam Kapoor Ahuja and Anand Ahuja got married yesterday, and held a glittering reception that was graced by almost every popular celebrity of Bollywood. Shah Rukh Khan (with wife Gauri Khan), Salman Khan, Aamir Khan (with wife Kiran Rao) attended the event, to the blinking lights of the cameras. 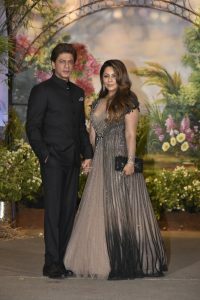 Shah Rukh Khan was also seen dancing with bride Sonam Kapoor, Salman was also spotten shaking a leg with the actor on the stage. Kareena Kapoor Khan came with Saif Ali Khan, Shahid Kapoor with wife Mira Rajput, and Akshay Kumar appeared alongside with wife Twinkle Khanna. 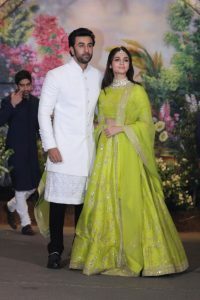 But, perhaps the most stunning entrance was made by the rumored couple, Ranbir Kapoor and actress Alia Bhatt, who walked before the camera’s hand in hand and seemed really happy with each other’s companionship. Ranveer Singh attended the even alone, since Deepika Padukone was in USA for MET Gala, while Aishwarya Rai and Abhishek Bachchan walked in, looking stunning and very happy in the presence of the cameras. After the wedding ceremony, Sonam changed her name to Sonam Kapoor Ahuja in all of her social media platforms. The couple were glowing during the reception, as they were flanked by their loved ones. Karan Johar was also seen performing a dance number on Prem Ratan Dhan Payo, a song from Sonam’s movie, while the family danced to the peppy tune of Gal Mithhi Mitthi Bol, another hit number from Sonam’s movie, Aisha. 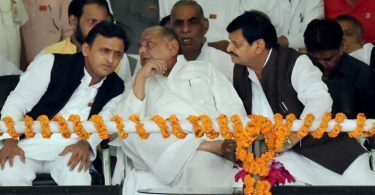 Why Samajwadi Party is going to make Shivpal Yadav as National General secretary?